How to help a student who is behind in math? 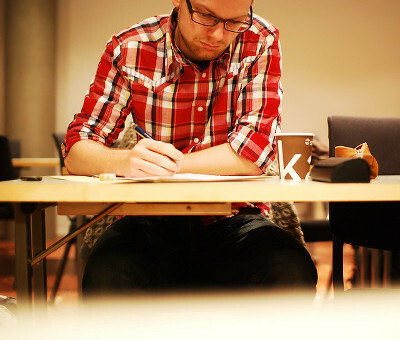 In this article I discuss some general principles in helping students that are behind in math. Perhaps go back to the very beginning? Should you go on with new concepts or not? If you are teaching a student who struggles in math, you probably already have an idea which math topics are difficult for him or her, but knowing for sure is much better than guesswork. By testing you can be sure to find all the weak areas. This is important because mathematics builds upon earlier concepts. Please note you're not using the tests to necessarily find out what grade level the student is in (though you can), but to pinpoint the exact areas of math that he or she needs help with. So look at the test results closely, question by question. To find out exactly what the student does not understand, administer several tests from neighboring grade levels, or ask the student to complete problems on certain topics only in the lower level tests. Stress to the student that the test is for evaluation purposes, not for giving grades. Once you know the topics where the student struggles, make a list of them. 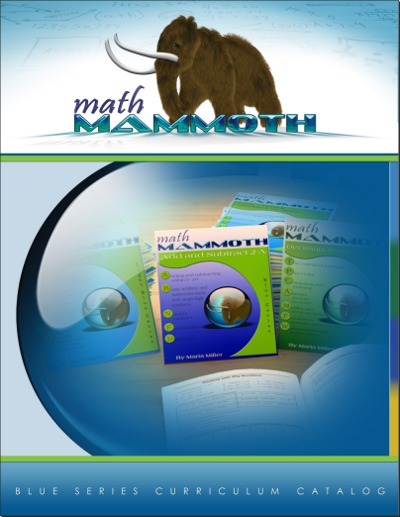 If there are only a few, then it is fairly easy to fill in the gaps: simply use Math Mammoth Blue Series books or other math materials to address those areas. The Blue Series books are worktexts, which means that they contain both the explanations (the "text") and the problems (the "work"). Each book deals with one area of math, such as place value, addition & subtraction, multiplication tables, multi-digit multiplication, long division, measuring, clock, money, geometry, fractions, decimals, proportions, percent, integers, statistics, and so on. In other words, the books are topical. They cover all the topics in grades 1-6 and some in grade 7. See a full list of the books and the topics here. The Blue Series books are sold as downloads with very affordable prices ($2 - $7), and are also available as printed copies. Download lots of free samples from these links, and see for yourself! The question is more complex if the student is seriously behind. What if your child is in 7th grade but still struggling with 3rd grade topics, such as the multiplication tables? Here's one possibility. Some of my customers have actually gone back to the very beginning — 1st or 2nd grade math — with Math Mammoth complete curriculum, and had their child work through every grade level systematically, building a very solid foundation. Typically, an older child can cover many grade levels of elementary math in one year. Don't ask the child to do every problem, but "skim through" the lessons, concentrating on the difficult areas. One idea is to have the child complete the chapter review before studying that particular chapter, in order to discover which lessons from the chapter the child should actually study. I feel this is a good option for many children who are seriously behind. If you use a regular math curriculum, one way is study a weak area just before the same topic in the child's regular math curriculum. For example, the child could restudy basic division (a 3rd grade topic) just before tackling long division in a 4th grade book. This approach works best if the gaps are not many. I want to point out that if you are planning to have the student review many topics, the sequence of those topics DOES matter. Certain concepts "flow together." For example, the multiplication tables are important to master before studying basic division, factoring, or most operations with fractions. Geometry, measuring, clock, money, and graphs are topics that are usually easy to incorporate into the current course of study. This scope & sequence chart may also help you. 6. Should you go on with new concepts or not? This is not a "yay or nay" question. With some children, it's advisable to present some new concepts while reviewing earlier ones. That can keep them motivated and not feel so behind. Obviously you cannot start a study of, say, long division if your student lags behind in the basic multiplication or division facts, but you may be able to "sprinkle in" some place value, geometry, time, money, or measuring. Geometry is an especially good area to use while reviewing old concepts, because it typically does not require many calculations. In some cases, you may have to go back a lot and spend a significant amount of time relearning "old" topics. However, in that scenario, the "old" topics are actually "new" to the student so shouldn't feel boring to him or her. Just use your judgment. As you can see, your approach can vary. The important thing is that you first assess the student's knowledge and make some kind of "game plan" so you can feel in control. If you have to change your plan, that's alright — in fact, that is quite normal. They deal with a few topics in each book, explaining the concepts and providing varied practice, often with visual models. The topics covered in the Blue Series range from 1st grade addition to 6th and 7th grade topics and everything in between: place value, addition & subtraction facts, multiplication tables, multi-digit multiplication, long division, measuring, clock, money, geometry, fractions, decimals, proportions, percent, integers and more. These books are sold as PDF files with very affordable prices ($2 - $7). They are also available as printed copies. "We're playing catch-up on basic math skills and this package is awesome! The content is clear, easy to follow for both the student and the parent/teacher. The flow and presentation of the concepts are encouraging for all ages-literally and without feeling as though the subject was written only for elementary kids. From a technical perspective, the files are well organized and easy to find and print. I truly wish I had discovered this product earlier. This is THE BEST self-contained math package. I bought the entire package and I highly recommend it. It is a great value."